The Stark Raving Viking: Hillary Clinton throwing Obama Regime under the Bus before Run with Chinese Help? Hillary Clinton throwing Obama Regime under the Bus before Run with Chinese Help? Disclaimer: I am not anti-Chinese. I am anti-Hillary Clinton, [anti-Obama], [anti-George W. Bush], and anti-UN/New World Order/Agenda 21 ... Not, I repeat NOT "Anti-American". 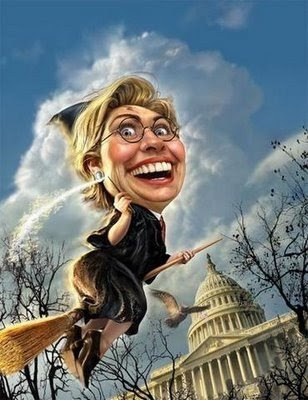 I posted that picture of Hillary Clinton, a witch on a broomstick, flying over the White House in Washington, D.C. cartoon, last [here in this post]. Hillary Clinton: If U.S. Doesn't Get Act Together, World Will "De-Americanize"
JFK and LSD? Did it stop WWIII? 1st step to microchipping the population?